Oops! We forgot to post this one last week… hope you enjoy a belated update on home improvement projects from last week. We ate our first tomato of the season on Sunday! 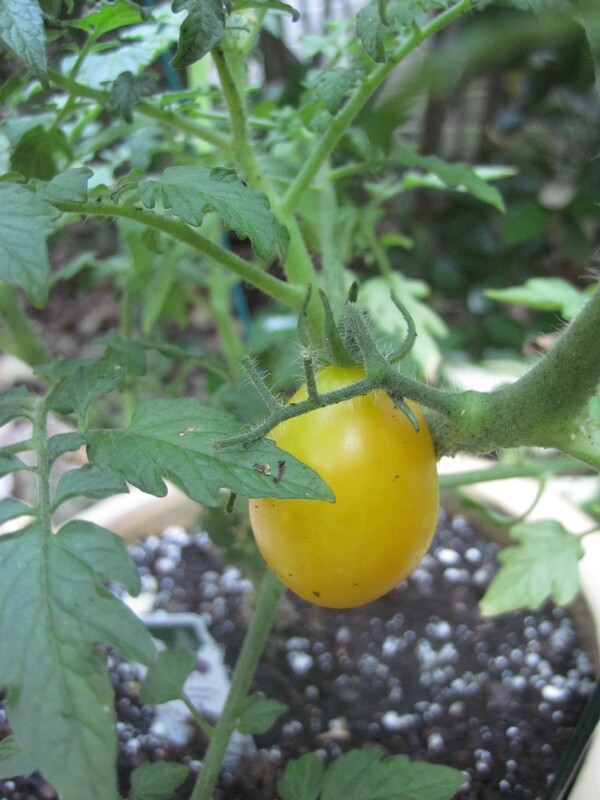 The tomato was a yellow, pear-shaped heirloom. It was a yummy refreshment after all of the hardwork we put in on the house throughout the weekend. pulling down some of the green molding in the living room. What’s on tap for next weekend? Krister will be on call Saturday, so we have a limited project list. We’re hoping to finish installing the kitchen moldings (maybe ambitious), paint the hall closet, set up the new living room furniture, and rip down more green living room molding. If we have any time left over, we’ll probably spend it looking into installing recessed lighting in the living room (or deciding to hire an electrician for that too).